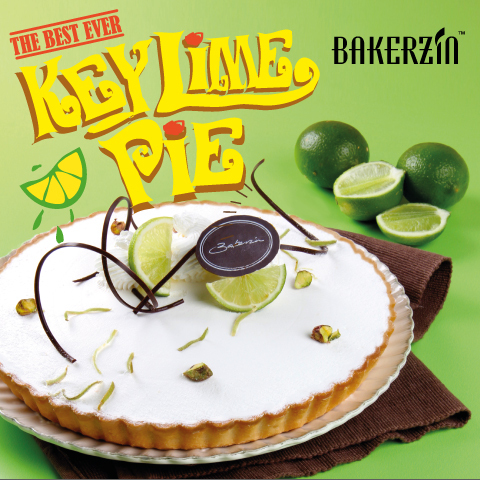 Wednesday | July 5, 2017	A beloved tangy pastry, one that lifts your mood to begin with, is a sweet reprieve with a luscious combo of zesty lime juice and sweet condensed milk. Its texture is light, yet robust, with the lime zest adding flavour to this dessert. Nestled on an aromatic crust shell, it is best paired with a warm cup of aromatic coffee. Readily available in slices at all Bakerzin outlets, and 1 day in advance for whole pie. Grab yours now at Bakerzin outlets and eshop.